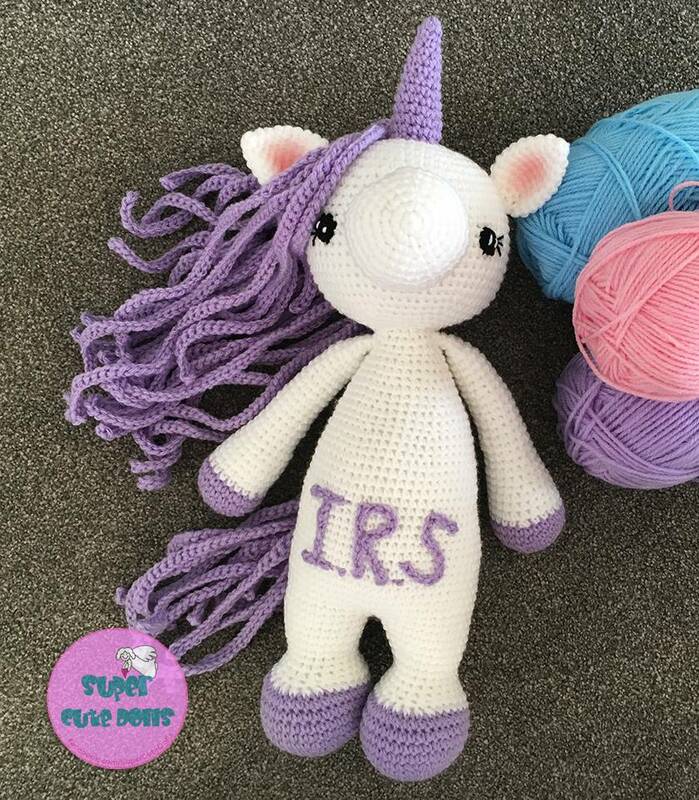 Please note: This unicorn is made to order only. PLEASE contact for current turn around time. 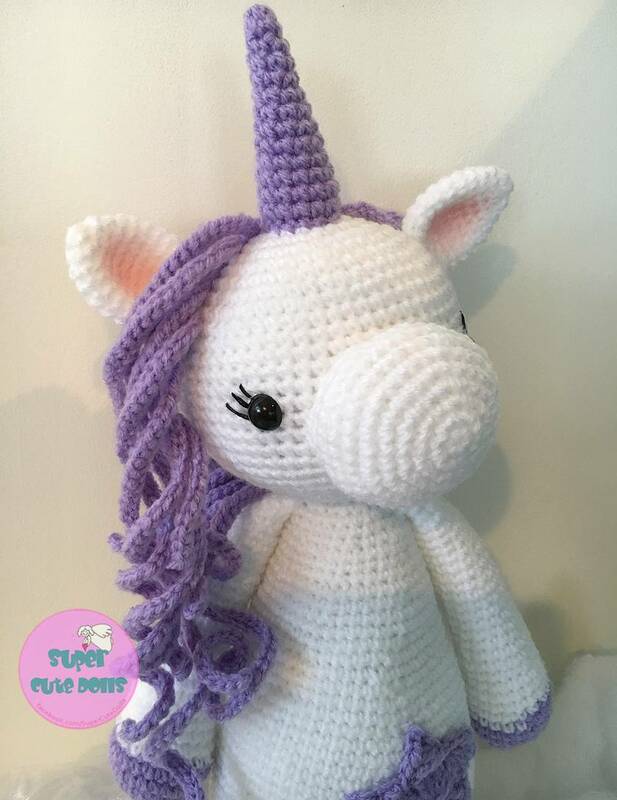 Know a little girl or boy who loves unicorn? 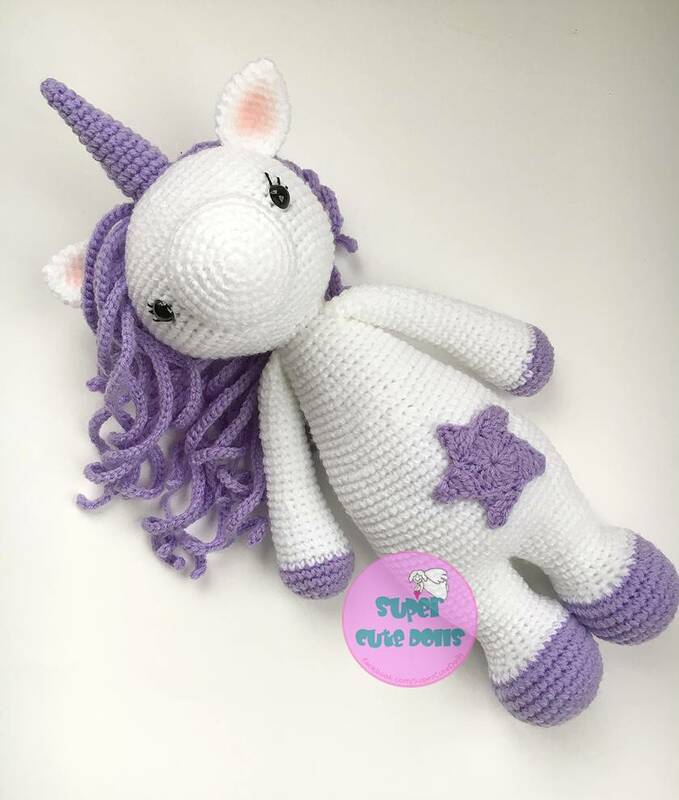 This super sweet and huggable soft toy is just waiting to be played with! It's approx. 43-45cm tall! She has lovely long hair and comes with safety eyes. Crocheted eyes are also available. Made with acrylic yarn. Premium soft fill, odourless, resilient, non-allergenic and washable. Comes from smoke and pet free home. - Adding your child's initial instead of star for only $2 extra! - This listing is for 1 colour hair only. 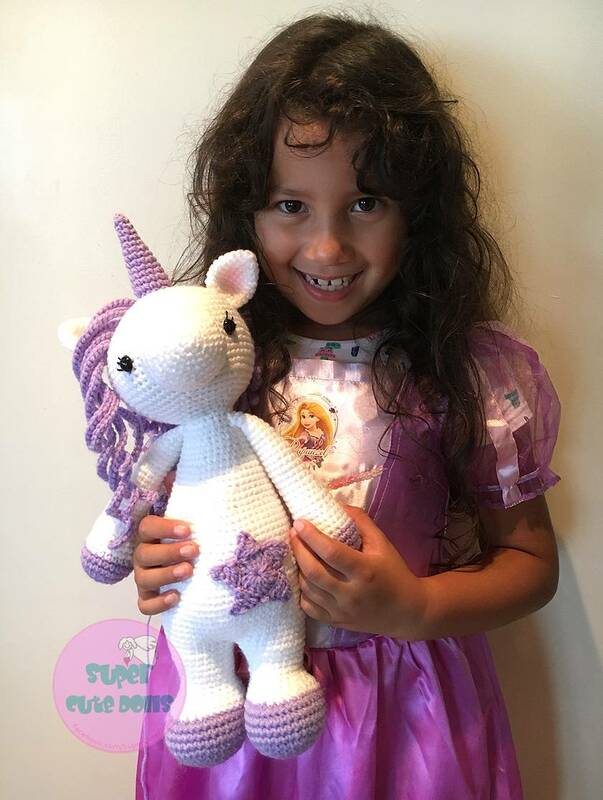 Contact supercute to enquire about payment or shipping options.